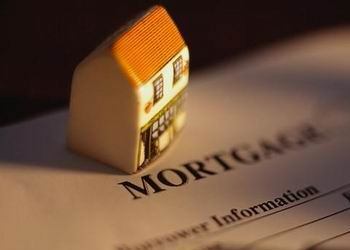 Syndicated mortgages continue to make headlines, with reports of payment delays leading some to call for a change in regulation. Has it reached that point? Have your say today by taking our poll. FSCO regulation is exactly where Private Lending via Syndicated Mortgage Investments should remain. Form 1 and Form 1.1 represent a significant level of disclosure to the investors. The organization is well equipped to continue the oversight of all of the Mortgage industry. The top Syndicated Mortgage Investment providers represent the vast majority of this type of business. For the top providers, Compliance, Disclosure & Client Suitability are at the top of industry priorities for them. Furthermore, the client education is extensive and consistent with the highest values of Financial Services Commission of Ontario. Changing regulators at this time would do an enormous disservice to the public. I still would prefer to keep the syndicated mortgage investments with FSCO. I've invested in 2 projects and my daughter too. I believe that delays in interest payments are being managed well. I am not alarmed in any way. Private Lending via Syndicated Mortgage Investments should remain. There are very tight processes in place that provide full disclosure to the investors. FSCO is well equipped to continue the oversight of all of the Mortgage industry. The top Syndicated Mortgage Investment providers represent the vast majority of this type of business. Client satisfaction, protection and disclosure is top priority. Keep it with FSCO.